Organic Twig Kukicha Tea made by Choice Organic Teas is a features kosher ingredients that originated from Japan. Warnings: Keep out of reach of children. 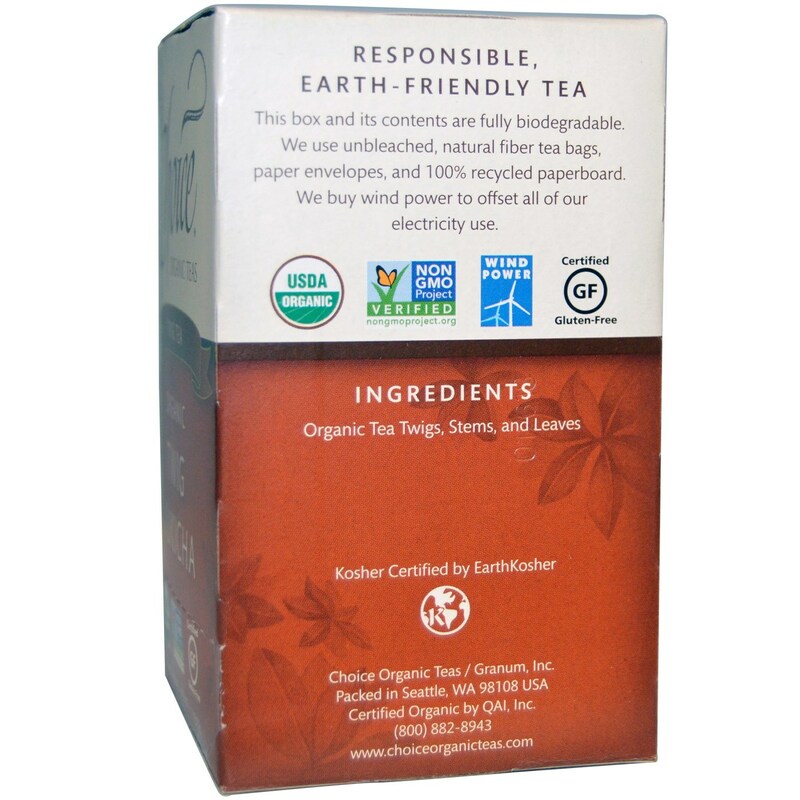 Do not consume tea from inside tea bags. Notes: Certified 100% USDA Organic. Non-GMO. Kosher. 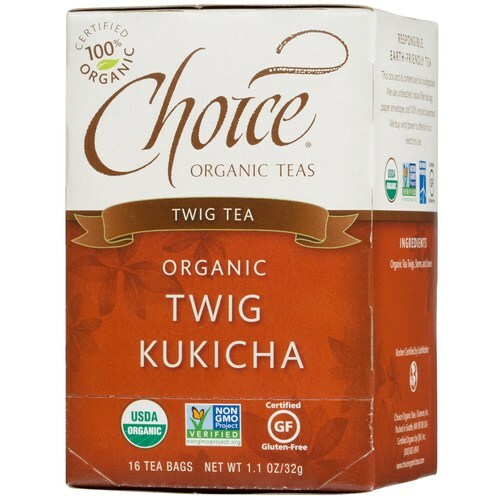 Ingredients: Organic tea twigs, stems, and leaves. Recommended Use: Boil fresh water, steep tea bag in 8 oz water for 4-5 minutes and enjoy. To make iced tea just brew double strength.